Darn. It’s cloudy at my house. Worse, it’s going to rain soon. And here I was, all set and poised to watch all sorts of celestial happenings tonight, starting with the total lunar eclipse. But no, nature has other plans, so I might as well pull the covers under my chin and succumb to Mr. Sandman’s spell. If anyone can’t see tonight’s total eclipse opportunity in the continental United States, there will be at least a partial lunar eclipse on October 8, visible from most of the continental United States and some totality will be visible on the West Coast. Hawaii and Alaska will have totality. Here’s something else you might not know: lunar and solar eclipses come in pairs. Separated by two weeks, the moon and the sun do a dance wherein a lunar eclipse is followed two weeks later by a solar eclipse. 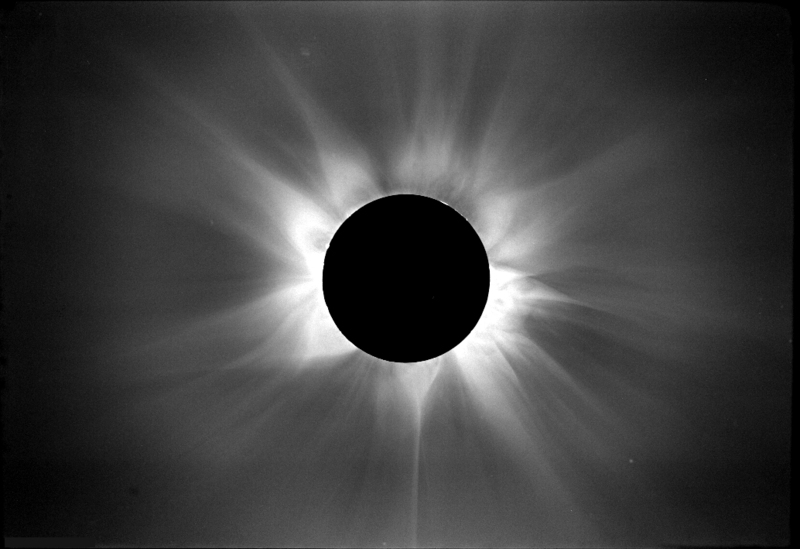 On April 29, 2014, there is a annular solar eclipse visible in the southernmost regains of the globe: Antarctica, Australia (most of it will be visible only as partial) and regions of the Indian and Pacific Oceans. An annular eclipse, by the way, means that the moon travels in front of the sun, but there remains a ring of sun around the edge. It gets dim, but not totally dark. Now, generally speaking, the shadows for a lunar eclipse are much larger than a solar eclipse. However, occasionally one region of the globe might see both a lunar and a solar eclipse in the same two-week period. That will occur in October of this year. That October 8 lunar eclipse will be visible, from every continent except Africa. It won’t be a total eclipse in many regions, but nearly the whole globe will catch some action. On October 23, nearly all of North America, a portion of the Pacific and far eastern Asia, plus a slip of the Atlantic will catch at least a portion of the solar eclipse. It will only be a partial solar eclipse in all areas, but again, depending upon where one is located, one may see more or less of the sun covered by the moon’s shadow. If you are lucky enough to see the eclipse tonight, there’s other spectacles to observe. Right around the moon, there’s bright red Mars, which you can’t miss, and off to the right is Jupiter, located in Gemini. Spica, the brightest star in Virgo (and where the moon is located presently) is practically knocking on the moon’s door, only one or two degrees from the moon. So if you’re blessed with clear (or partly-cloudly) skies and not doing very much at 1:20 am EDT (or 10:20 PDT on the West Coast), go out and have yourself a look! You won’t be sorry.